The work required to install the first of the four pieces of pilot equipment to be set up in the Region of Murcia has begun at the Los Rizaos farm. The farm is located in the La Almarza de Dolores de Pacheco area, within the Torre Pacheco municipality. Results under real working conditions are expected over the coming months once installation of the plant has been completed and it is in working order. 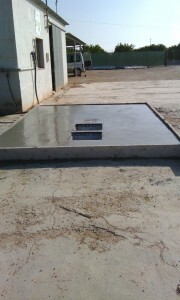 Novedades Agrícolas S.A. is the company in charge of installation. 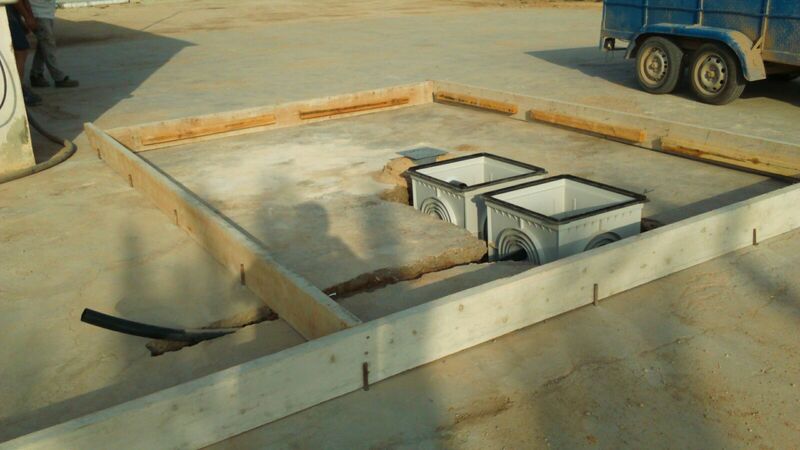 The equipment consists of two deposits, one for collection (where the water from rinsing and washing machinery is collected) and one for treatment (to which the reagents are added), a sand filter, a water cooler and a radiation probe. Three borosilicate tubes, which are permeable to ultraviolet radiation, are situated on the top on a sheet of reflective aluminium. It has four adjustable positions in order to make the most of incoming radiation depending on the time of year. The aim is to ensure that the design means that the equipment can be used on agricultural farms under actual working conditions. Vegetables are grown both in greenhouses with plastic coverings and in fields at the Los Rizaos farm, which belongs to Agrícola Galindo. The company, established by Pablo Galindo, is a family-run business and the third generation of the family is currently working there. It is a modern farm which is accustomed to incorporating technology into its processes. It collaborates in various R&D projects with various universities and institutions. In fact, it is one of the leading companies in terms of technological implementation, especially in terms of saving water and energy as well as in the reduction of greenhouse gas emissions.